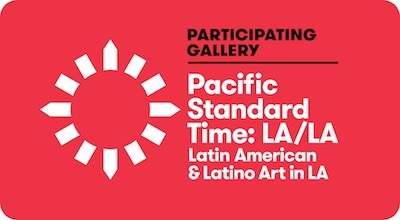 More than 65 art galleries in Los Angeles and throughout Southern California will participate in Pacific Standard Time: LA/LA, the Getty-led exploration of Latin American and Latino art that launches on September 15, 2017, and runs through January 2018. Complementing PST: LA/LA's expansive roster of exhibitions, performances, and public programs at more than 70 museums and cultural institutions, participating galleries will present more than 90 group and solo exhibitions, artist-curated projects, and installations in Downtown Los Angeles, Culver City, Santa Monica, Hollywood, West Hollywood, and beyond. Throughout the four-month initiative, a vibrant cross-section of emerging and established galleries will join in celebrating Latin American and Latino artists, and will bring works to the region by both internationally-known artists who will be shown on the West Coast or in the United States for the first time and emerging talent from across Latin America and the U.S.